Hi Tatertots and Jello! It’s Taryn from Design, Dining and Diapers. 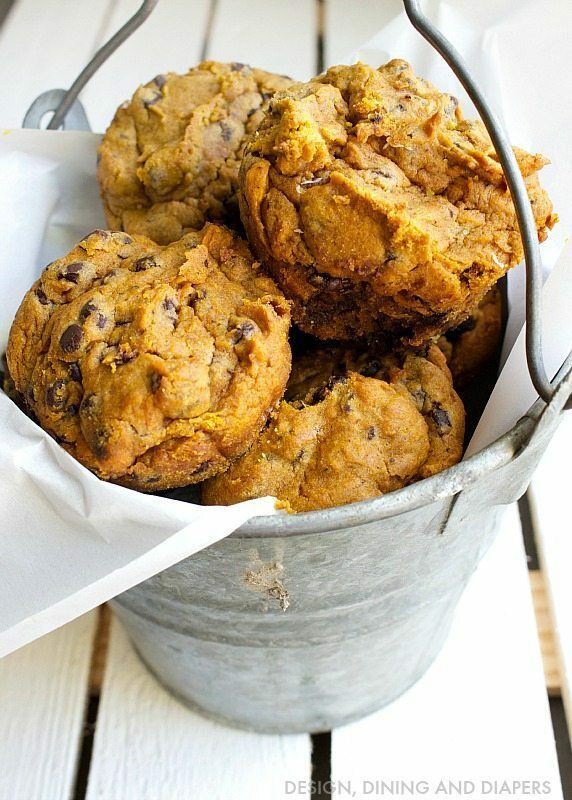 Anyone else love pumpkin recipes this time of year? The minute fall hits the pumpkins come out and that means in the kitchen too! 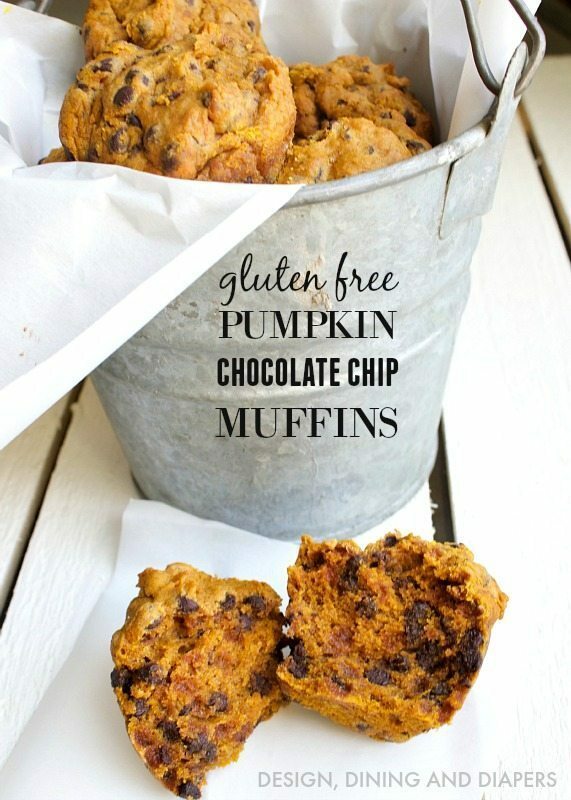 With Thanksgiving quickly approaching, I thought I’d share one last pumpkin recipe before we all break out the peppermint! 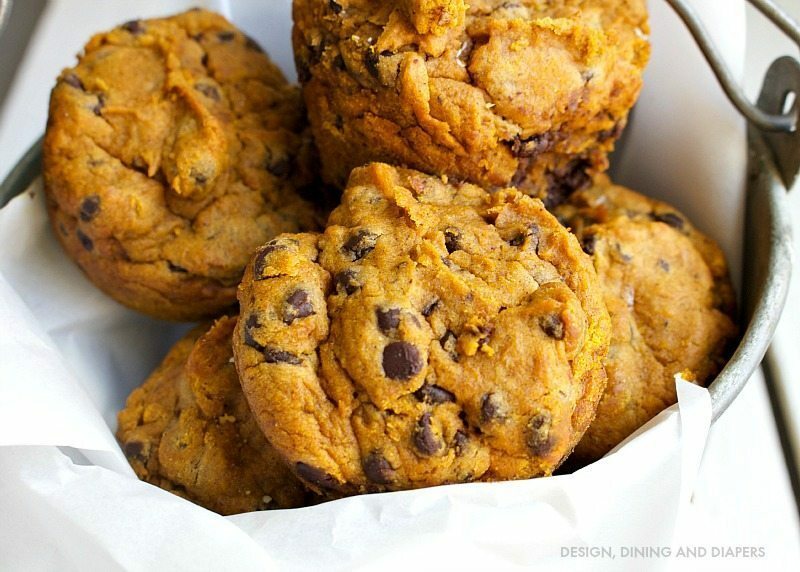 Today, I’m sharing my recipe for Gluten Free Pumpkin Chocolate Chip Muffins. Because of my food allergies, I make all my recipes gluten free, egg free and soy free, but you could easily use regular eggs and regular mini chocolate chips instead of allergy friendly ones! These would also make a great gift for neighbors during the holidays! Thanks for having me over, Jen! Wishing everyone in the US a very happy Thanksgiving! 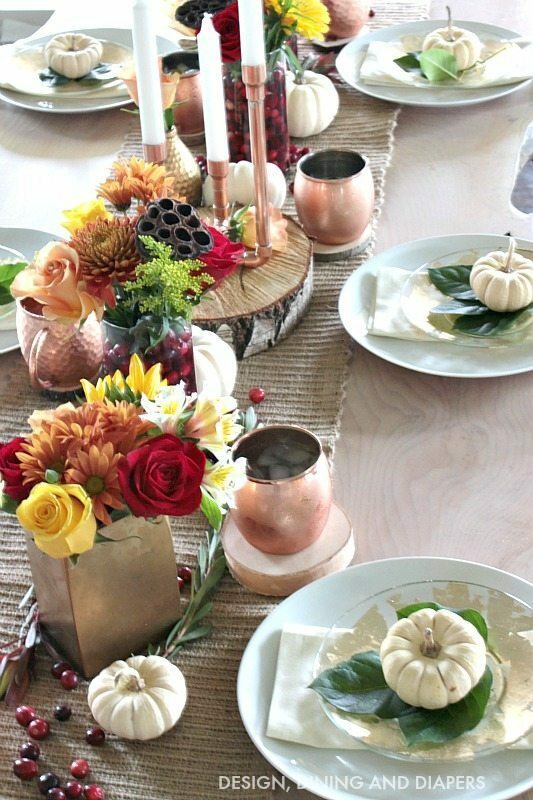 Check out her gorgeous Thanksgiving Table Setting ideas! 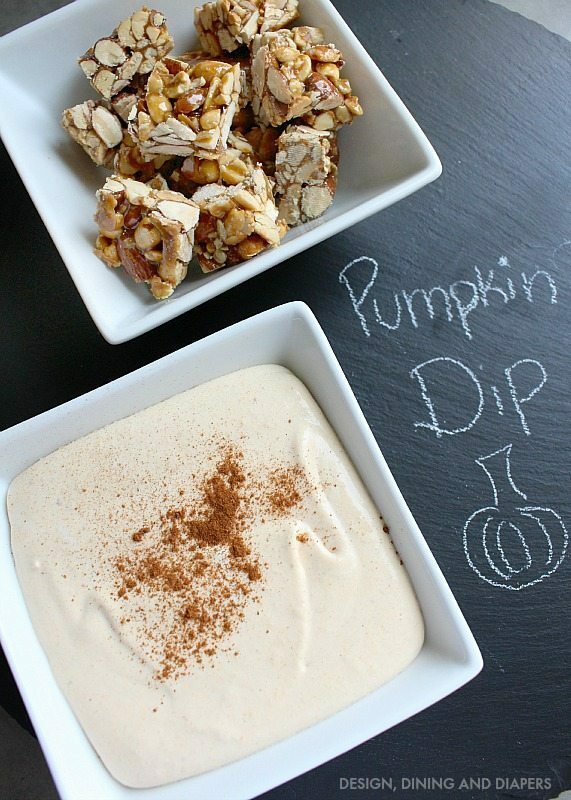 And her 2 Ingredient Pumpkin Dip would be a great recipe to add to your Thanksgiving menu! 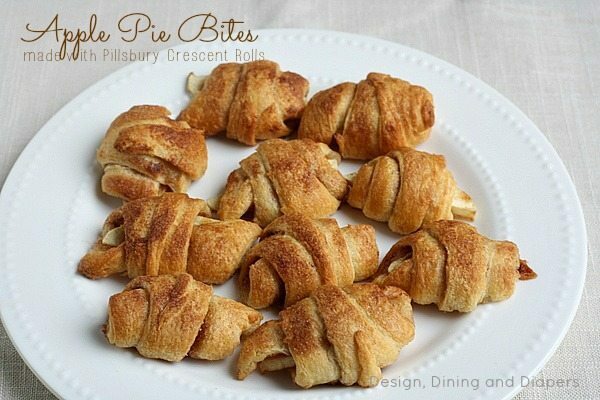 And instead of making apple pie, try making these Apple Pie Bites! These muffins look delicious! I love all chocolate and pumpkin combos!